Rubber Room Ramblings: NORTHERN FLURRY FOR THE HOLIDAYS! 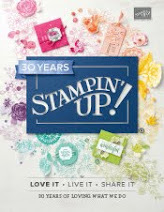 I really like this new Stampin' Up! 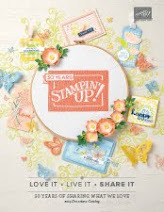 Embossing Folder for your Big Shot. It is called Northern Flurry and is available now in the Stampin' Up! 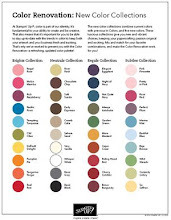 Holiday Mini Catalog. 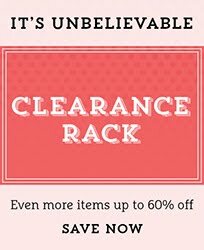 It's on page 26 and at only $7.95 it is a definite "must have" item! This is one of the cards we will be making at my Holiday Stamp-A-Stack this month. The SAS is on September 15th, and tomorrow (September 5th) is the last day to register. We will be making eight cards (2 each of 4 different designs). The cost is $12. I will supply all the materials for your cards, and envelopes, light snacks, coffee and water. All you need to bring is your adhesive. 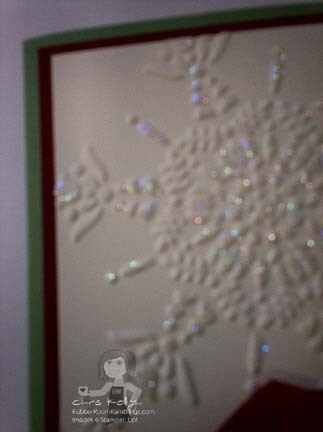 You can see in the close up photo that I put a little Dazzling Diamonds Glitter on my embossed snowflake image. 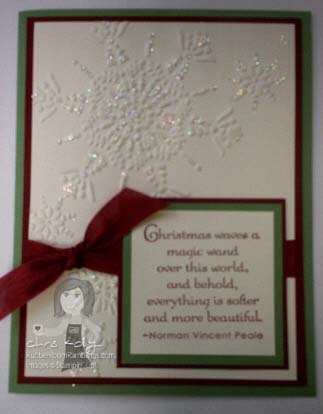 I used Cherry Cobbler and Wild Wasabai cardstock. I added some of the new 1/2" seam binding in Cherry Cobbler and the sentiment for this card comes from the Occasional Quotes stamp set.